iTunes is the world's best way to play — and add to — your collection of music, movies, TV shows, apps, audiobooks, and more. Bonus Reward Points earned in the Bonus Points Mall are subject to the Bonus Points Mall Terms and Conditions. Bonus Reward Points cannot be earned on the purchase of gift cards, on GST or on delivery and shipping charges. Bonus Reward Points may not be awarded on any voucher, coupon or discount code that is not displayed from the Bonus Points Mall. Bonus Points will not be earned on cancelled, refunded, or amended transactions. Links to the Apple Online Store products do not earn Reward Points. iTunes gift cards sold on the Apple Online Store are not eligible for Reward Points. Links to iTunes Gifts on the desktop or within iOS, however, are eligible for Reward Points. Some retailers have their own policies and restrictions. Before shopping, please ensure you review the Special Terms of iTunes (above) for further information. 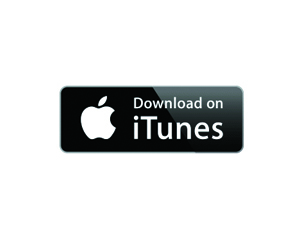 Complete your purchase in one session and without leaving iTunes. Do not click on any bookmarks or advertising banners or links once you leave ANZ Bonus Points Mall. The amounts payable for Service transactions are expressed inclusive of GST and each such amount includes an amount equal to the GST payable in respect of the supply to which the amount relates. We accept Visa, Mastercard, American Express credit cards and PayPal.